Glorious, fabulous, beauuuuutiful rain .... thank you Mother Nature! We were planning to buy a truck load of water yesterday, so glad we didn't. We've had a bunch of rain since yesterday and overnight ... the thunder is not pleasant for our pups ... but we won't complain. - Tropical Storm in December? A -Special Tropical Disturbance Statement- has been posted by the National Hurricane Center in Miami. I hope everyone is paying attention. In 24 hours we should have a tropical or subtropical system to deal with, that is, by Monday evening. Are we ready for this? Have we placed any Christmas decorations outside? These winds are not our usual "Christmas breezes". Do not be deceived. There is something brewing out there with lots of potential. Today, we had intermittent squalls with strong, gusty winds. Yesterday, the boat parade in the harbor was postponed because of the rough seas. The wind this evening has increased and loose items outside are beginning to fly about. According to water vapor imagery, this systems covers a wide area. So, even if we are not affected directly by this system, we most probably will get hit by something. Batten down the hatches and enjoy the eggnog and coquito, guavaberry wine, and all the goodies this most joyous season provides, and most of all, don't forget your prayers. And I thought I did my last posting for the season in Nov.
- The End is Near! Well, dear folks in the Caribbean, we are approaching the end of another hurricane season. Whew! What a relief! I'm sorry for our neighbors who were affected directly or in one way or another. It's heartbreaking to see the suffering of so many. I was reading on the internet today that natural disasters have increased in the last 20 years. Sooner or later, one of us is bound to get hit. Let's not deceive ourselves. Hurricanes are just one of many calamities that can befall us. Here, there has always been a lot of concern about earthquakes and sunamis. I went to an earthquake seminar some time ago and it was very interesting. Earthquakes come without warning so we have to be better prepared than for a hurricane. Prepared by removing anything from shelves and cabinets that can fall on your head and kill you. Many of us have a lot of such paraphernelia in our homes. 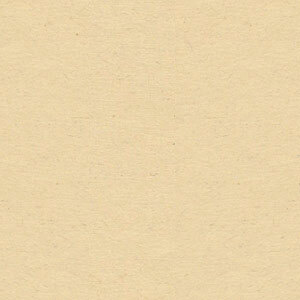 The best thing is to keep it simple. Look who's talking. I have some nice vases and earthenware pots high up there that can topple with just the cat walking by them. However, we have been fortunate. Some of us, like myself, always have to learn from experience. Well, I just hope we don't have to experience an earthquake, especially those in the sea that cause sunamis like the one in East Asia. All I can say is hang in there, always be on guard, as Max says, "Keep an eye to the weather". November 30th is the official end to the hurricane season, but there are other types of weather out there that can be as treacherous as a hurricane, sometimes more so. Take care of yourselves and enter the new year with God's blessing. Before we know it the 2008 hurricane season will be here. Be well, be safe. - CREEPY CRAWLEY from the West! Hope you're all well or getting there, especially the folks hard-hit this hurricane season. TIME is a healer and it is always my heartfelt wish that TIME will pass quickly for the sake of those under stress. We are gradually approaching the end of this hurricane season. Or are we? Today's unusual heat in November is a cause for concern. Climate change? Eight years ago we were visited by LENNY who made a spin through the Caribbean. My 8-year-old grandson who was being born in Valencia, Spain at that time looked across the sea this evening, forty miles across, the lights on St. Thomas were clearly visible. He said, "It's going to rain!" Why did he say that, we asked. "Because we can see the lights on St, Thomas, that means it's going to rain!" We smiled remembering a dear deceased Swiss friend who always said that when the lights on St. Thomas were visible it would rain and most of the time he was right. Now, it could be that my grandson will be right because if we look at the satellite imagery, there is a huge blob coming in our direction, from the west, just like LENNY. So far it looks harmless as far as any development with this system, however, it can be packing as much rain as it did in Mexico, and it is creeping along ever so slowly!We definitely are in for some rain, lots of it, if it does not disintegrate before it gets here. NOAA Weather Radio is reporting about this....., this "creeper" and how it will enhance our rain chances, and then we also have a "wave" coming from the east, which they reported should also bring us more rain. Well, just in case, we did about three loads of laundry today so that we could hang the clothes out to dry. We don't use the dryer often to avoid high energy bills. Any heating element cause the electrical bill to increase, so we try to turn off fans and lights which are not being used and control the use of whatever we can. Memories of trying to dry clothes on a maze of clotheslines in the garage some time back came to mind and it is not an episode we want to repeat. In the meanwhile, we are having beautiful days with some occasional passing showers. Yesterday we had company and we usually sit out in the garden to have an aperitif before heading upstairs for dinner. I eyed the sky to the east and said, "It's going to rain!" My husband and others said, "It's just a passing cloud!" Well, this was one time I did not want it to rain especially since my husband wanted to take everyone down a path to see his gardening skills. It rain! And there we were all huddled under the LENNY Flamboyant tree until someone ( like myself ) fetched a couple of umbrellas. It was a heavy downpour so we could not have dinner on the deck either, but the nine of us sat snuggly around the dinner table and savored the Seafood Kallaloo with "deh okra fungi ball dem". This meal was in honor of one of our guests, Winifred "Oyoko" Loving, the author of the book MY NAME IS FREEDOM. There is a Kallaloo recipe at the end of the story. I was pleased to see second the even third servings. Back to the weather. May it be good for all of us. God bless us all and keep us safe. - Hurricane NOEL in November..
A trail of destruction is left behind as Noel becomes a hurricane and will quickly move away from this area. Thank God! The image that has stayed with me is that of a boy being dragged away by the rushing, muddy water in the Dominican Republic. The boy's head appeared and disappeared underwater several times as his drowning was in progress. How helpless those who saw this, not being able to do a thing about it. Up to now dozens are missing. The 107 dead reported by ABC News this evening must surely be higher at this hour. Folks, we are seeing, experiencing, living events we have not perhaps in all our lives. On the Long Island in the Bahamas they had 15 inches of rain in two days of heavy downpours, the likes of which they had not seen in 60 years. Is it over now? Not according to Dr. Gray's update. He predicted four storms between Oct. and Nov. This one, NOEL was the first of those four. I sure hope he is wrong because one of those four is supposed to be a hurricane of 111 mph or more. This means that we cannot let our guard down. If you get "caught by surprise" you're living on another planet. (Who knows, maybe the weather is nicer there.) The poor will always be among us, it is up to us to keep them updated and get them the necessary help BEFORE a storm hits. There are people who are determined to stay put and many of them get washed out to sea. It is difficult to help people who do not want to be helped. Even on the U.S.mainland you have situations where people decide to ride out a hurricane after being urged to leave for their own safety. Having barely survived, they decided that at the first hint of another storm they will be among the first to leave. That's called "living and learning"--but not everyone is so lucky. Often the learning experience helps as it did us with HUGO, and kills as other storms have done, like NOEL in this case. The weather here has been quite beautiful, warm, breezy, an occasional quick shower, but we're keeping away from the beach for a while. The waves have been rough. We see them crashing on the reef. Also, it is advisable to check with the authorities in case the water is still contaminated as it usually is after a storm. It is better to be safe, than sorry. God bless you all and remember to pray for those suffering from NOEL's rampage, and that who died, rest in peace. - RAIN and TEARS ! As of today 20 people are known dead and another 20 missing in the Dominican Republic, all due to TS Noel (Knoll). Several others were killed in Puerto Rico as reported by Dave. At the moment Haiti is being beaten up and who knows what tragedies are unfolding there. I understand that they lost 37 earlier this month during a rain storm. That was nothing compared to this. Apparently, some people were "caught" by surprise. There can be no such thing. We are well aware of the storms. We hear about them on the radio, read about them in the paper, hear people talking. How can anyone in this day and age not know that a storm is coming? I can understand a tornado dropping out of clouds on the mainland due to severe weather, but a Tropical Storm? We should know about it from the moment it leaves the African coast. That's what they do on the mainland in order to know if evacuations will be in order in case of a major hurricane. I really think that all Hurricane Correspondents should have as a personal mission of alerting and informing as many people as possible locally whenever there is a threat. Not everyone has internet service, nor a weather radio, or has time for a newspaper. I've often been surprised by people who had not the tiniest iota that there was a hurricane in the region. How are they to prepare for it if they don't even know it's coming.!! It is no wonder that here there is a constant reminder about Hurricane Preparedness. The countdown is until Nov. 30th, but with the climate change we are experiencing the Hurricane season can very well go beyond November. Preparedness is the key and I hope and pray that the leaders of the Caribbean lands will go the extra mile to alert their people about the importance of being prepared and moving them to safer areas if that be the case. People need not die because of a storm. People need not shed tears. But, alas, loved ones are lost. Swept away, never more to be seen again. What a tragedy! God help us all. My heart and prayers go out to all who are suffering the ravages of TS Noel and of this Hurricane season. This storm is not only having the similarity of JEANNE, it also reminds me of MITCH. It's just about stationary. I'm sorry for the folks who will have to deal with this storm, and possibly even lose lives. It is over 400 miles away from us and we have been having some hefty downpours, what must it be with it right at the doorstep! Already we are reading reports of deaths in PR due to mudslides. Too much water is very dangerous. Let's pray for all those who are suffering the ravages of Noel. I don't want to scare you, but if you look real quick at the satellite imagery you will notice a "mask" on Depression #16 !! Two dark blots for eyes and another lower middle. Whatever the case may be, this system means Mean business. I heard this morning on NOAA Radio that it should become a Tropical Storm today. I hope you folks in Puerto Rico and Hispaniola are taken all the necessary precautions to save your lives. The Weather expert on the Weather Channel did not mention the Virgin Islands today, but we have been having a very heavy downpour since shortly after 11:00 A.M.. The forecast on that channel calls for us to have 1 - 2 inches of rain today, a 70% chance and tomorrow an 80% chance. It's almost as if the wind is pushing it back a bit, as it was before it arrived. The danger with this Depression is that it's moving very slowly at 6 mph, according to the latest information, and that is especially bad for lands with mountainous terrain. A Flash Flood watch includes the Virgin Islands. I was losing the weather radio info so I was not able to understand what seemed to have been a new bulletin. All we can do is take care of ourselves as best we can and don't pull any funny stunts. Look who's "talking", my husband and I are getting ready to go to a wedding anniversary celebration, small affair at my sister's, but I just wish I could stay comfy at home and not have to go anywhere. We went to church this morning as it should be and all was well. Fortunately my sister does not live too far away. Enjoy the day, the rain, and thank God for life, but pray for those who are less fortunate. - Heavy Rain and a blackout! Hi! We are having heavy rain at the moment as some of you are from what I can see in the Sat. imagery. The electrical power just went a few minutes ago and I'm writing with battery power and the help of a small battery powered lamp. The worst is yet to come. Let's hang in there. The photos I sent earlier are reversed. 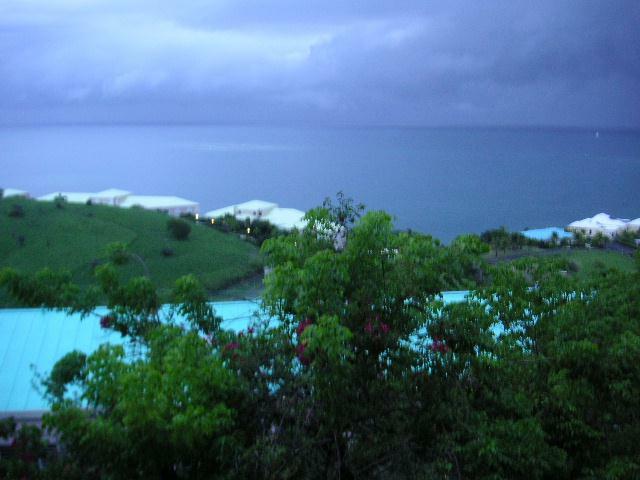 View toward St.Thomas is the second one. I decided to include nice, soothing music along with the posting. I guess that's why the *Spam* alert was there. It was an experiment which did not work. Sorry. - **SPAM** In the RED! Rain and more rain! We are being "bombarded" with almost continuous heavy rain punctuated with lightning and thunder all around us. As I just saw in the satellite imagery we are imbedded in RED! The rain started last night with power outages every two or three hours. The porch and part of the livingroom was flooded. My husband worked at fixing that problem today. The rain held up pretty much for the school day and let loose again big time for the rest of the day and night so far. I'm surprised we have not had more outages. We should continue the same for the next few days as there's a lot of moisture dragging behind this system, which is eventually to become a Tropical Depression. Those of you who have rivers and streams to deal with, I urge you to be very cautious. I'm always concerned that in Puerto Rico there are so many deaths due to vehicles being dragged away by the floods. The best thing in this weather is to stay indoors. Listen to good music, read a good book, have a good conversation, and be happy. God bless you! - Is NOEL about to form..? than we bargained for with this one. and do what we have to do. God bless you. - Elephant in the Sea! Sorry, that was totally unexpected! An elephant beating up on the dolphin.? What's going on? i did not do that stunt! I guess it was all a show, the dolphin's friends seem to be enjoying it. That goes to show how crazy things are out there, folks! Let's hope that the weather is going to remain calm and collected and doesn't pull any funny stunt on us! Keep cool! I 've been taking a break. It's been so quiet. 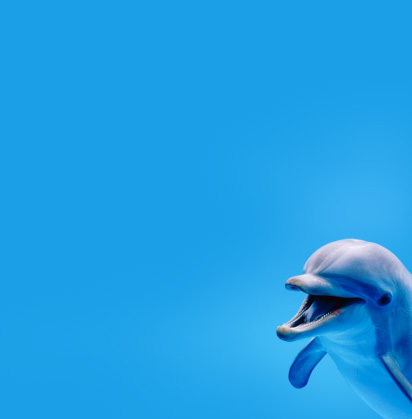 Just look at how happy that dolphin is that there is no big, bad hurricane churning up the beautiful blue sea. However, I was reading the news release from St. Maarten and according to forecasters Dr. William Gray and Phil Klotzbach there is still a lot of activity ahead for October and November. At least four named storms with one of them becoming a major hurricane with winds exceeding 111 mph. Well, well, I guess we're not out of the woods as yet, if they are right. All I know is that the weather pattern has changed, so who knows what to expect anymore. Today a man was commenting on how unusually hot it was for October. All I could think was that the hurricane season might be extended beyond November. I just wish we could get some RAIN! 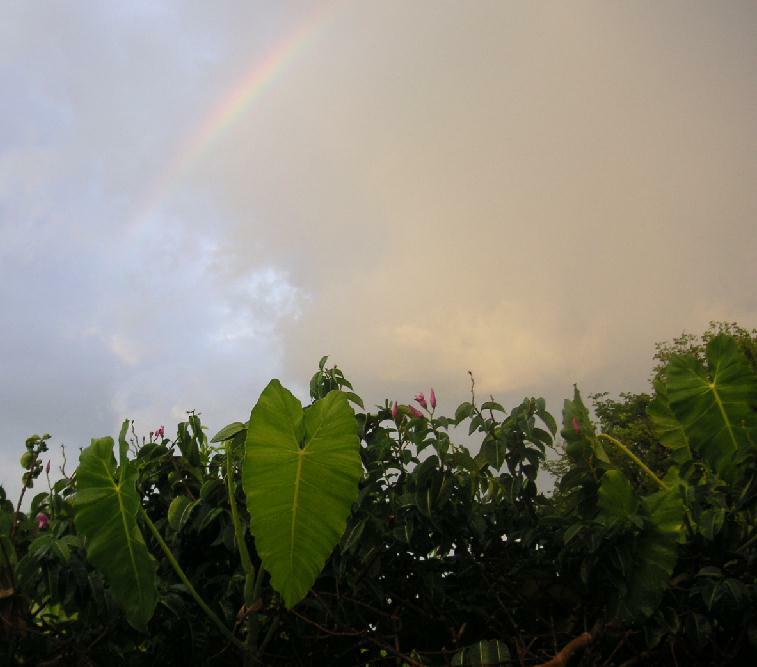 It has been a very dry, "rainy" season thus far. We are nevertheless, very grateful that we can look out at the beautiful tri-color sea and swim in it regularly. It has been peaceful, and as close to perfect as we can get on this crazy planet. Thank God! Be well, be happy and don't forget to pray! - "An Early End to This Year's Season"..?? According to the National Weather Service forecaster, Ernesto Morales, the weather patterns we have been seeing in the past week are called "transitional". He stated in The Daily News, "This is normally seen in late October or early November when upper-level winds start changing." He said, " ...these wind patterns signifies the end of the hurricane season...." He was wise to add, "weather can be unpredictable and forecasters do not always have all the answers.." He is keeping an eye on the tropical wave which was on 55 degrees west which should arrive in the area in the next four days. At the moment he is not expecting it to develop into anything more severe. In my last posting I mentioned a delayed season, we don't usually have a dry September, and now it begins....but, I'm not an expert. Dr. Gray in Colorado must be scratching his head, wondering how he could be so wrong in his predictions. He still expected a lot of activity this month. He could be right, and then not. All I know is that I keep hearing about that "LENNY" phenomena, coming from the west...? Both Gert and Dave have reminded us about that hurricane..and the ever present possibilities. I somehow feel that this could be a year for one of those reversed situations. Folks! There is one important, very important thing to remember! If you are a pilot, especially flying small private airplanes--DO NOT TRAVEL DURING BAD WEATHER! Last evening, at the time that we were being hammered by that squally weather, a private plane took off and never made if to St. Croix from St.Thomas. The wreckage and human remains were found just over three hours later. It is believed that only Levette Ruan was on board, he owned the Ruan's Marine Service. Our condolences to the family. Not too long ago we also lost a dentist the same way. His wife refused to travel with him on the small plane, took a commercial flight instead, she is alive today, he isn't. As the above mentioned meteorologist, Ernesto Morales said, "It was not good flying weather " last night and it often is not the case whenever an airplane goes down. Let's be careful out there, and don't forget the prayers! God bless you all. - **SPAM** S-T-O-R-M-Y OCTOBER ! We were at a friend's for dinner when the sky to the north-northeast kept getting darker and darker, by the time we sat down to dinner, the storm arrived with howling winds and pelting rain. We turned off the lights and put on a candle for the effects. It was lightning and I was not relishing the trip back to town. After a while it stopped only to start again almost like the tail of a hurricane. Once that one passed we got into our car and left immediately. The torrential rain caused flooding all along the route. I feared flooding at home too because of the direction of the rain onto the porch and into the house. Well, I was surprised that the porch was dry! Then, when I saw the local report on the Weather Channel, it turned out that the rain came from the South! Not from the north as we thought. NOAA Weather radio which reports from Mt. 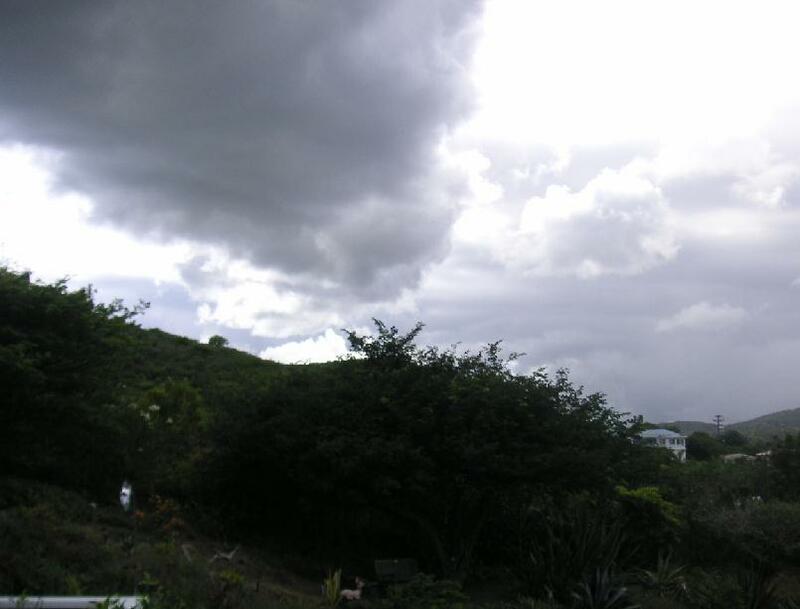 Steward on St. Croix said that we got 1-2 inches of rain in that those short intervals and that we should expect more. It is coming from an "elongated" system which should give us very active weather until Thursday. So, as it turns out, October is proving to be wetter than September. I still think we have a delayed weather pattern which could cause the hurricane season to extend well beyond November. Hope, I am wrong. God bless you all and have a safe rest of season. Attached is a photo of the on-coming storm. That colorful patch above us certainly meant business! Did we ever get RAIN! More like a deluge. It was almost funny, but it hardly ever fails that when we order a truckful of water, it always rains. Yesterday one of our cisterns reached its limit of emptiness. We had to switch to the second cistern which only had 5 feet. Each cistern takes 8,000 gallons. We are pretty sure that with all that rain today and what's promised for the rest of the weekend, and what's coming from the east, we should come close to the 16,000 gallons and even overflow. That would be great. Now this colorful patch can become nasty if it becomes better organized and in a couple of days, it is reported, there can be a tropical system forming as it moves towards the west. There's also the possibility that we can have another "Lenny-type" coming in our direction! Whatever the case, we cannot afford to let our guard down. May this holiday weekend in the Virgin Islands and US Mainland be one of rejoicing and thanksgiving to God for the discovery of America which has been a refuge for so many. It has been a tale of the good, the bad, and the ugly through the centuries but after all is said and done, America has been the land of opportunity for people from all over the world. - Too Quiet For Some..? So, thank God that it is quiet, at the moment, may it remain so. God bless you all and and keep smiling! And don't forget to pray! Hello, there! It seems that KAREN insists on leaving her mark. What a long system! It takes up a good part of the island chain and heading this way, or is it? The correspondent in PR is right. Hector says it's coming straight west, and so it seems. It goes to show that we really have to monitor all systems until they disappear completely. Our forecast today calls for a 70% chance of rain with some of KAREN influencing our weather later today or tonight. We are going to a pool party, (pool party in the Caribbean? Are you crazy.??) I hope it does not affect the outdoor fun. It's just two families getting together. Let's not fall asleep until KAREN is well out of our way, also, remember that we're surrounded by other factors that can cause problems as well. So, be prepared for anything. Enjoy the day. Be safe. God bless you. I just checked the satelite imagery one more time before calling it a day, and I noticed that KAREN is getting sheared right through the middle making it seem as if there are two identical systems, one higher, one lower, each with a deep red navel (convection). Very interesting! What does this all mean! Let's check tomorrow. In the meanwhile, if you are reading this post tonight, check it right away and see for yourselves. The imagery changes all the time. This evening it was one big blob, and now, two. I can hardly wait to see the sat. imagery tomorrow. What suspense! Have a great weekend and be safe, not sorry. God bless you! - So Far, So Good! Friends, we in the Antilles have not had to contend with anything big so far, thank God, and we are told we don't have to worry about KAREN either. BUT we still have to be on guard. Afterall, the shearing winds can change and then what! So, let's be vigilant! I must say that the Weather Channel experts have been quite accurate about the path of the storms. However, even they know that a slight change can mean disaster, so they play it safe by telling us to monitor the storms. I always wondered at their possessiveness by using the word "our" when talking about a Depression, TS, or hurricane. Ever heard them? It's as if they had something to do with forming them. We have never had such a dry, "rainy season". Last night's rain came and went quickly and the rest of the night was quiet. The frog's were happy with whatever rain fell. Today, it did not rain in Christiansted the way we thought with an 80% chance forecasted, but I'm absolutely sure it rained that much and more in Frederiksted. It usually does. From the middle of the island to the western tip is where most of the rain falls. Tonight the moon is shining in all her glory. I assume that our Golden Retriever will be moon-bathing on the deck/terrace tonight. Be well, be happy, keep smiling, and may God bless us all! Poor Prinzie! The pooch has been a nervous wreck all evening with all the rumbling going on. Funny thing is, his brother is not affected in the least. One runs for cover when it thunders, the other stays cool. And as I write,--the RAIN is now starting! Puerto Rico expects some three to five inches. Wow! There's bound to be flooding there and here as well. One heavy downpour does it here. We certainly need the rain though. Thank you, Lord. Now KAREN is another story. What a huge system! She'd better go to Weight Watchers if she becomes a hurricane and comes our way. We don't want a repetition of HUGO. We must keep an eye, or two, on KAREN. As I write, the RAIN has stopped and just when I thought I would go to bed and get lulled to sleep. Ah, well. I hope this is not going to be just a teaser. Let's see what tomorrow brings. God bless all! Holy cow ... looking at the satellite image, we've got some major blob-age goin' on! I sure hope this means rain in our future ... not too much, but just enough. Looking out toward the south from mid-island, I can see some big rain clouds. Guess I better head home and get the closet ready for the pups to take cover. I'll snap some pictures of whatever's headed our way. More to follow. Finally! After seeing all those pregnant clouds go by day after day, heading off to the west where the rain forest is, naturally, and the higher mountains which draw rain like a magnet, we got a good soaking today. My husband and I were heading back from the mechanic and just before stopping at the supermarket, the deluge broke. It was total white-out and what a lovely sight! We did not even stay in the car. We stepped into the quickly flooding parking lot and made our way to the store. The water simply went in and out of our sandals. If we had waited in the car it would be quite a while. When we left the store after a leisurely shopping, it was still raining. Thank you, Lord. I bet this was one rain storm that was even welcomed by our visitors to the island. I always pray that our visitors would have rain at night ,if any, and sunshine during the day so that they can fully enjoy this beautiful island, but I think that even they like a respite from the heat with a refreshing shower, or even the heavy downpour we had today. Our poor pooch, Prinz, was drenched to the skin. I don't think he minded too much, he is always the first in line for a bath. As for our two red-footed tortoises, they walk around with their own private shelter, no problem. All other pets were inside. By tomorrow, Tuesday, we should be getting some more of that substantial stuff is larger quantities if that system moves over us or near us. That could become something down the road. Maybe KAREN is closer to home than we think. Now, looking farther east, there is the possibility that KAREN is out there waiting in the wings. She is now depressed, rather, a Depression #12, and has promise of making a debut sometime soon. She is probably going to pass north of us in another five days or so according to the experts, but we in the Lesser Antilles must prepare in case she comes closer than expected, which could easily happen. These storms have a mind of their own, who knows, could out-wit each other by forming faster. Weather patterns can change drastically. And by this point in Time, we should be well prepared for anything. ARE WE.? Dear Friends, we still have a way to go. If all of that mess in the eastern Atlantic reach us, we're in for trouble. I don't understand all the intricasies of the weather patterns, but I can see from the various maps that there's a lot of activity out there. True, I did hear on the weather channel that the next two waves coming off of Africa will go out to the shipping lanes, however, I sometimes get that terrible feeling that the hurricane season is working on a delayed regime, that the October peak will be the first real peak, then will come the next in November. Did that ever happen before?, or is it because of the freakiness in the over-all weather patterns that has me thinking such freakish thoughts. Anyway, don't pay me no mind, leave it to me to get everyone nervous, right? And that just on time for the weekend. I wish you all a great one. Don't forget that Sunday is the Lord's Day; let's not wait for something terrible to happen to fall on our knees and beg for mercy. I will leave you with Alexander Hamilton, First United States Treasurer, who was fifteen years old on St. Croix, when he experienced the "most dreadful hurricane that memory or any records whatever can trace.."
" Hark! ruin and confusion on every side --Tis thy turn next, but one short moment ---even now ---O Lord help ---Jesus be merciful! " - INGRID is Still Hanging Around! I cannot believe that INGRID is still hanging around! And to top it off, according to the Weather Channel, she can start going west towards the mainland. Well, well, what are we to do. If only we can squeeze some rain out of her before she moves on. Last night, she was quite busy flashing away, and today I heard rumbles of thunder. Huge clouds deck the skies, but not a drop to boast of. However, there seems to be hope for the upcoming weekend. Let's hope that wave does not fizzle. It seems that JERRY wants to leave his calling card somewhere in the Gulf coast. I hope he does not get out of hand like his buddies did, they went all the way, to Cat five. Certainly New Orleans should not be challenged so soon again. They still have a long road of recovery from KATRINA. God help them! And God help us as we go through the rest of this season. It's hard to think of hurricane preparedness when it has been so quiet for us, I hope we don't get caught asleep. Watch and pray! - HUGO's 18th Anniversary --Remembering..! Is INGRID trying to make a comeback or something.? I was studing the satellite imagery this evening and I am baffled. I noticed the so-called remnants looking like one big orange ball ( or blob ) hugging the chain and that still on 17N ? Naw, I must have misread the information. I keep hearing and reading that the system will pass northeast of the Northern Leeward islands, but that's not what I'm seeing. Late this afternoon while having a nice refreshing time in the sea we noticed the sky to the northeast looking rather interesting. We thought for sure that some much needed rain was coming our way, but not a drop as yet. As a matter of fact, the quarter moon was smiling down at me from a rather clear sky. 17th paragraph: "St. Croix was declared a disaster area eligible for Federal Aid. FEMA responded as efficiently and as quickly as possible to the thousands of applicants in dire need of funds. With 95% of all private and public buildings touched in one way or another, FEMA settled in for a long stay. 18th paragraph: "It is not easy to measure D-A-M-A-G-E of this extent, but in order to try to have an idea of how much of it there was on the 82 sq. mile island of St. Croix, let's measure it by the amount of waste debris left by HUGO: On Nov. 5 - 6, 1989, over 200 million tons of it, -25 feet high, about the size of 10 football fields, was scheduled to be burned. A controlled burn of this sort with that amount of debris would take 24-36 hours, otherwise, according to the authorities as stated in the St. Crois Avis, "it would take about 4,000 days of the island's two incinerators working around the clock to burn the debris." Another option was of "shipping it to fuel-starved Haiti, but a government expert estimated that 10 barges would have to take daily excursions for more than four years to haul the debris to Haiti.." And if we think that that was all the debris, let us look again. The 200 million tons "represented only 20% of the storm-related trash that must be burned. Based on that percentage, the amount of HUGO debris on St. Croix totals an estimated 1.8 billion pounds." Although burning the debris was a good solution it became a serious health hazard. All was fine as long as the wind blew it away from populated area, but eventually everyone was affected by the smoke. And so the problem remained a problem. Keeping in mind that this is a small island, how does one dispose of so much debris? Meantime, with this amount of trash we are sure to run into it no matter where we turn, right? Wrong! It was all being tranfered to specified areas out of the two towns, out of sight, but not out of mind. 19th paragraph: "Blessings! Paradise was beginning to look like paradise again,-minus a few thousand trees, but tropical vegetation grows fast,...a pair of once-naked Flamboyant trees in Golden Grove were already in full bloom, sporting some beautiful, bright red and orange blossoms amidst a brilliant kelly green. The hibiscus was appearing, rather shyly at first, but glorious as always, and the peach-colored and lilac Bougainvillea near Fort King Christian were a charming sight. Nothing can prevent Nature from keeping its pact with God. As long as He wills, there will be foliage, there will be flowers." And now, I must add, how people benefited from this ferocious hurricane: HUGO was Bad, but then, how bad is bad? Well, you have a good floor you don't like, but it can't be ripped up because that would be a shame, such a good floor, and all. So you live with it and live with it, and maybe come to hate the good floor, but you can't do anything about it. Then along comes HUGO........ and in a matter of weeks, you have a beautiful, shiny, new floor. Is that Bad? Costly renovations were carefully planned and put aside for that day when enough money was saved for such a venture, then along comes HUGO, and the insurance covered it. Is that Bad? Everything was gone with the wind, or damaged by water, so everyone had to go out shopping for new things. HUGO helped a lot of people get things they would have otherwise not been able to get. And I mean the honest-to-goodness way. Is that Bad? Some say HUGO was a purifying Force. He straightened many people out, and certainly a lot more people than ever before, prayed to God for protection on that evil night. Is that Bad? Thank you for reading this through, those of you who did. Maybe one day I will submit the entire report to the Hurricane Network Archives. It is interspersed with Alexander Hamilton's own account of the 1772 hurricane he experienced. According to Jim Cantore at the Weather Channel, the poorly visible circulation of INGRID is northeast of the Leewards, but did not explain the orange blob below. So, let's wait and see. I am not the only correspondent who is wishing for rain. God bless you. I'm looking at the satellite pictures and can't help but be amazed at all the blobbage! I keep thinking there's some rain headed our way, but we've only had small sprinkles here and there. The blob below us looks quite large, I keep hoping it will bring some rain to our dry island. Crossing my fingers for rain here. Ingrid seems to have everyone guessing. Wondering what's in store, and hoping for the best. - INGRID in our neighborhood! Well, I hope you have had time to read the first paragraphs I shared with you on this the 18th anniversary of the monster hurricane HUGO on Sept. 17th through 18th of 1989. 11th paragraph: "Scientists tell us that hurricanes get their energy from the warm sea; that the storm needs at least a 200 ft. depth of warm water in order to live. This water in turn is churned about, picked up, and lashed out with tremendous fury. The result of this is similar to a fire-storm. The combination of hot air and salt water blowing at 245 mph burned every bit of flora on St. Croix. The islanders said that it looked as if fire had swept over the land; when it was over, steam was emanating from some areas of the scourged land. War veterans said it was like a bombing raid at low altitude, and that it was worse than anything they had ever seen in any of the recent wars (referring especially to Vietnam where everything was otherwise green..). The destruction was horrendous! Most trees were up-rooted and bare, many of them hundreds of years old; only a few remained standing, stark-naked and strange-looking in a place known for its abundant, rich, luscious vegetation." 14th paragraph: "HUGO arrived in what seemed to be a "guise of a million demons", but could it not have been a blessing in disguise? Was God trying to convey a message? These questions have been pondered upon and rightly so, the Lord is praised,--but memory sometimes has a short life. However, HUGO is still present in the waste debris reaching out for recognition and respect, and a total commitment by the people of St. Croix (and by the whole world) to work together, and to pray together, and to keep in mind that as bad as it was it could have been a whole lot worse; hundreds, perhaps thousands could have been killed considering the deadly power of this hurricane. It is right to take it as a warning." 16th paragraph extracts: "They (Crucians) marvel at the astonishing things they heard and saw: of flying plywood boards crashing and being buried so deeply into the ground that they had to be sawed off! Of people being blown out of their apartment as if by a big explosion, clinging terrified to the door-posts the whole night long as their belongings in the form of broken, glass-fill debris crashed passed their ears; of people cramped and cringing with fear and awe of HUGO, in closets and kitchen cabinets; of people crawling on their bellies in the height of the hurricane looking for a hiding place; of cars thrown and piled high; of steel beams twisted like so much licorice; of noise levels compared to that of a C-120 cargo plane; of the most horrifying, evil sounds, as if the air was virtually filled with demons; as if HUGO was accusing everyone, for it said clearly, "You-u-u-u-u...! You-u-u-u-u...!" and so on, and so on, for each person, another experience to tell. Many were the hearts lifted up to Heaven that long night." That's it for today. Tomorrow, I shall share some more of HUGO on the 18th anniversary. Let's keep an eye, or two on INGRID. God bless you. Dear friends, things are quiet, thanks to gentle INGRID. However, I don't think she likes to be called "evil" considering that she has not touched any land, caused any havoc, much less killed any people, but that could change by her or by her friend JERRY who expects to pay a call in the near future, or at least, that's what the weather experts have predicted. Let's hope he does not come with a vengeance as his buddies DEAN and FELIX did. So far, there have only been nine named storms. Aren't there suppose to be more? While INGRID decides what she wants to do, I will take this time to share with you a few excerpts from my HUGO 1989 report--title above. 4th paragraph: "Conversations invariably began and ended with HUGO. He seemed to be on some clean-up mission. He made headlines when he made lowlines. He was indeed a terror. He might as well have been called Hitler, but we must admit, HUGO had a gentler hand for even though damage was done by the millions, it was in dollars, not in human lives. He was on a rampage, this HUGO. Never had anyone seen the likes." 8th paragraph: "Early that Sunday afternoon, of September 17th, while hearts jittered in New York, and in every Crucian-inhabited city on the mainland, HUGO'S heralding clouds began to paint the sky an eerie black. Helpless faces, on St. Croix, watched as the first winds, like whiplashes, snapping and plucking at the trees, flicked their branches, piece by piece to unknown destinations. During the remaining daylight hours, smaller trees were seen to have been picked up by the wind. roots and all, as if HUGO had sent it ahead to do some weeding!" 10th paragraph: "..A memorandum by the Federal Emergency Management Association (FEMA), in the St. Croix Avis, stated that: "Hurricane HUGO was a classic Cape Verde hurricane, the first to strike the Virgin Islands with such intensity since the San Felipe hurricane of 1928. HUGO was estimated to be packing winds of 140 mph when it struck St. Croix on Sept. 17, 1989. The island was generally prepared for a severe storm, but several factors during the hours before landfall aggravated the storm's sustained winds of over 170 mph at altitude in the west eyewall of HUGO. The storm slowed down to 6 mph, subjecting the island to over twelve hours of hurricane force winds, which resulted in widespread destruction." As it was, in some areas of the island the wind measured at 245 mph! There were reports that the hurricane had spawned some fifteen tornados. It was not surprising then, that 95% of all structures lost roofs, or were completely destroyed, or suffered other severe damage.."
I will try to continue on Sunday with some more excerpts. God bless you and remember to keep smiling. Jesus loves you! My friends, things have really changed with the so-called "Global Warming". Now, we have hurricanes sneaking up on sleeping people. They went to bed and it was just a 35mph storm, nothing much to worry about and at 2:00 A.M. they get a real "wake up" call. One man said a window was smashed and he had to rush his family into a safer room. One poor unsuspecting man got killed when a roof fell on him, and so on..... HUMBERTO, that was not very nice, at all, at all! That was my train of thought. But then I started wondering....wasn't anyone paying attention? That system had been meandering pretty much like GABRIELLE, and we were told to keep an eye on it. These systems do funny, or not so funny tricks at times. They look like nothing and suddenly ...WOW! They become a hurricane! Some people right now are probably yawning when they think of TD #8. They like things to move fast like DEAN and FELIX. This slow, "can't make up my mind what I want to do" attititude just drive people bananas. I can't believe this Depression will just fizzle, the water is much too warm, and getting warmer the closer it gets. I understand that unofficially we already have TS INGRID. On the Weather Channel they think that it is going to be upgraded by the 11:00 P.M. advisory and we have to pay special attention by the later part of the weekend for a more recent track. Just remember, we're always told, keep your eye on it, monitor this storm. Don't be caught by surprise! We could be dealing with a very tricky INGRID, especially if she tries to copy HUMBERTO. These storms acquire a personality all their own. Keep tabs. God bless you. It can't be, my friends, all the Ingrids I know are sweet and gentle, especially my sister-in-law in Germany. I hope that what Dave said this evening on his TV2 weather report will be true for us; that this system is going to pass about 151 miles north of St. Thomas. We need rain, but not that badly. I prefer to buy 3000 gallons of water for the cistern to see us through until we get some good soaking rain. Of course, Dave, and all of us, must always leave room from other scenarios so that we are not so fixed on it passing far away and not take the necessary precautions. It could very well come on top of us, God forbid. Last night, thank God, we had excellent weather for our patriotic celebration in commemoration of 9/11 six years ago. We heard some words from Alexander Hamilton among other patriots. Does everyone know....? He was born in Nevis and grew up on St. Croix. He was literally catapulted to fame after surviving the devastation of a major hurricane on St. Croix in 1772. His description of the horror he experienced was so detailed in a letter to his father, that potential was detected and he was sent off to school to what is now Columbia University. He was a determined young man who ultimately became an army officer, Founding Father of the Nation, a politician, one of the foremost Constitutional lawyers, and the First United States Treasurer. All that thanks to a hurricane..?!? Wow! It brings to mind hurricane HUGO. I will share with you soon, how people benefited from that one.Whatever the case may be, we don't want another monster around here. So, if this system becomes INGRID tonight or early tomorrow, I hope she goes away somewhere where she can frolic around in the waves without harming anyone. Did you know....? When a hurricane is coming fish fill their bodies with water so that they can stay farther down in the sea, a sort of ballast. Watch out DearMissMermaid and be prepared! Let's be ready for whatever may come. We'll be hearing lots about this system in the next days, so we have no excuse for not being ready. Laugh lots, stay well, and pray,--not necessarily in that order. God bless you. Hi, Caribbean Folk! How do meteorologists ever see those hidden swirls that constitute a possible beginning of something "interesting" ? I can't see them, ever, but I trust that they know their science. Hopefully, nothing comes of it. Our Grenada correspondent is worried and with reason after all the stuff that's been storming by, however, this one looks as if it is going to travel higher from what I understand so far. Higher means it will be either closer to St. Croix and our neighbors or on top of us. HUGO's 18th anniversary is coming up just around the time that this system is arriving in the area, and it is also an "H"!! Unless, of course, HUMBERTO forms elsewhere. Well, we know what we have to do. Keep tuned in and focused. As soon as I can, I will share excerpts of HUGO's visit to St. Croix in 1989. I have been very busy coordinating a September 11th ("9/11") event in our parish commemorating the saddest day in recent U.S. history. It will take place at 7:00 p.m. I will be making the opening remarks basically leading the whole program, which includes powerful words by early patriots by six men and patriotic female song leaders. Alexander Hamilton will be the first "speaker"--his opening words, "The World has its eye on America." You don't know how much I prayed that the weather will cooperate, because no matter how people pray for needed rain, when they get it, they don't even go to church because it's raining!! What ingratitude! Is it the same over there..? So far, it seems like the little blob missed us all together. Or is it still coming! Well, as long as the weather is dry by the evening of the 11th. Now we have to watch, and wait, and continue praying that this season is over quickly and without any other Cat 5 storms. God bless you. when FELIX makes landfall. Some 18,000 would have to be evacuated up the mountain as there is no other way by sea. They live in swamp lands as it is and the storm surge is expected to be huge. I just hope and pray that some effort has been made to protect them and get them to adequate shelter. That is a monumental problem which should have been addressed days ago. My husband was reminding me that the movie MOSQUITO COAST starring Harrison Ford was filmed in that area. It goes back a few years, quite a few, but extremely interesting film. It gaves one an insight as to what kind of terrain it involves and how the indigenous population lives. May God bless them and help them to protect themselves even if it means tying themselves to large trees as have been done in the past. Whatever it takes. Let's pray this night. As for us, is the threat coming from the west rather than from the east? I missed Dave on Channel 2 this evening as we were having a Labor Day barbecue. We were winding down but still could not turn on the tv. What's going on out there?? Tonight on Channel 2 there was a very interesting program on Hurricane Preparedness. They said it is not a question of if, but rather when... very interesting program, even the Governor was on for a short while. His main hurricane memory is HUGO. wrote in a previous report. It seems as if this is going to be a Cat 5 season. Dear Friends being affected by TS Felix soon to be Hurricane FELIX. It is with great concern that I watch the satellite imagery and read the forecasts and reports from your islands. As for Honduras/Nicaragua I remember the horrible experience you had with MITCH. Please seek safe shelter away from any deforested areas. And now we seem to have another one forming in the middle of the Atlantic. According to Dave, this one is most probably going to be picked up and taken out to sea. That would be great, however, until that happens I think we in the northern Leewards will have to keep a close eye on this one. Let's be attentive, and more than anything else, let's be ready. This is definitely not the time to get distracted and forget it's Hurricane season. God bless everyone and be safe. During these six months of Hurricane Season we always seem to be in a tizzy - weather, or not. We can't help noticing the shuttered houses, some businesses close for the peak and owners go away, there's a lot of talk about the next one, and we pray daily our supplication prayer, though, I like to add that if one does hit at least we can all survive. Take for instance Hurricane HUGO , the first one for St. Croix after 60 years. It crawled down or up the backbone of the island at 6mph, the wind gauge at the airport broke at 245mph, 15 tornados were spawned, 95% of the structures were destroyed or severely damaged, ---yet, no one got killed on that terrible night. However, many lessons were learned, and thanks to HUGO, the master teacher, building codes were changed. Before that many constructions were done without hurricanes in mind. My father, who was a contractor, always built a house with hurricanes in mind and his was one of the few that survived HUGO, the others that survived were also built by him. He took his job seriously, God bless his soul; he died at a ripe old age of 99yrs. 9 months and 6 days and he was still able to hold a conversation. His first concern after HUGO was about his houses, did they make it...One does not have to build a bunker, though that's probably the best bet. We do not live in a bunker, we have a very traditional looking house with arches and ballisters, a porch winding around the house overlooking the harbor; we stood on the porch one day and watched Hurricane GEORGES blow by at 110 mph. by the time it reach Puerto Rico it was about 140mph. Our house is only 10 yrs. old and has not been tested by a direct hit as yet. I hope it will never be tested, though the general opinion is that it is a very strong house, --almost like a bunker. I do have to make a confession. I was in New York for Hurricane HUGO, but I did come down a month later to see family and look after property--a condo trashed right through. I wrote a report on all that I heard and saw. One day I'll share excerpts of that report with you. It is very interesting, if I may say so myself. Keep smiling, be brave, and God bless you! Thanks to the kind lady in Sint Maarten who responded to my request for suggestions about pet dogs necessities during a hurricane and for giving me the key to finding my LENNY story. What a complicated route.She had friends in the Netherlands read it as they have no idea what it is to go through a hurricane. And, thank you, Gert, for making it easier to find it.! Just read the message below and started wondering whatever happened to Isabel's Lenny Story. It was never posted, but I found it and have attached it as a Microsoft Word Document. - All Quiet On The Homefront...sh-h-h-h! All is quiet, thank God, so this is the best time to do a little reminiscing and ask for suggestions just in case a similar situation arises in the future. I sure hope not. Well, it so happened that I was caught at home alone when hurricane LENNY brushed awfully close to St. Croix, the middle of November, traveling from west to east. Henceforth, it has been known as "wrong-way Lenny". My husband, just like a vast majority of others, decided that hurricane season was over so it was safe to travel. Well, one week later Lenny developed so rapidly in the western Caribbean that I had to step up the preparations real fast. To make a long story short, and get to the nitty gritty, hurricane LENNY was raging all around the place, when suddenly my pooch Prinz wanted to pee. "Do it here in the hallway! It's all wet, anyway!" The strong wind shot the horizontal rain right through every possible crevice and the floor were all flooded downstairs in our hurricane refuge. Prinz looked at me and headed for the door. "Prinz, you cannot go outside now! There's a hurricane out there!" All he understood was "Prinz" the rest was "blah, blah, blah". He won. I managed to open the inward- open steel door and he raced out. It sounds gingerly. It wasn't. I held that door between my knees and hung on for dear life. Meanwhile, Prinz had disappeared around the corner. I was extremely worried, what if the wind had already taken him to the other side of town! Oh, dear! Suddenly, he raced pass the door, rather the wind pushed him. I called, I screamed, "Prinz! Prinzie!' I could hardly hear myself above the screeching wind. Thank God, he raced back to the door and I locked it behind me. "I hope you peed!" That was just more "blah, blah" to him. Really, what does one do when a dog wants to pee during a raging hurricane? Any suggestions? I need some, in case. Prinz is a real prince, a polite dog, he would rather risk his life out there than pee inside. Horrors! So then, what! It's an urgent need to know, because we now have five dogs. Two we inherited from a friend who died and had asked us to take care of them, they are related to Prinz--mother and brother. And my daughter has two, plus three cats, but the cats are no problem, they have a litter box. What about the dogs when they have to do their necessities..? I sure hope I get some good suggestions. Pleeeeaaaaassseeee! Thank you! The complete story of how I coped single-handed with Hurricane LENNY was sent to the archives as Gert suggested, but I think it got lost somewhere. I'm not that good at this electronic stuff. Sorry, because there are other hilarious and interesting information in the story. especially those of you who suffered the ravages of Hurricane DEAN. I know what you went through and how it feels, the anxiety, the anguish, the fear, the ordeal, the exhaustion, and finally the relief that it is gone and you and those you know are safe. So what if the plants are down, they bounce back, so what if some material things were lost, we thank God that it was not a life instead and calmly, even happily, go about the business of getting things back in order; soon this will be filed in the memory bank and pulled out every hurricane season to share some story with whoever lends an ear. Believe it or not, some comical stories can even come out of such a horrendous situation, like for instance, during HUGO a woman "ran" a short distance outside from one door to another and all her clothes were ripped off.!! That might look funny especially when she arrived at the other house, however, she also could have had her head sliced off by a sheet of galvanize. So, don't even think about it. When they say, "Stay put!" Then we do just that. If we forgot something out there, too bad, we'll just have to prepare better next time. Will there be a next time..? There's quite a mess out there in the Atlantic. I don't know if it will amount to anything; we just have to stay on guard and be ready for anything. DEAN has helped us to get ready for what could very well be a Cat.5 season. I read a prophecy once that said that near the end of the world there will be frightful hurricanes. Are we almost there? Can anything be more frightful than a Cat 5.? Let's not worry too much about it. This morning I heard the weather man on the radio say that when Andrew struck that was it for the season. Maybe we'll get lucky-- backed up with tons of prayers.!! Live, love, laugh a lot and thank God everyday for LIFE! - DEAN is really MEAN!! I just read that Jamaicans along the coast as being evacuated and people refuse to leave.That's crazy! Are they aware of the size and strength of the monster that's coming their way? DEAN is a real mean storm. I am really concerned that there may be many deaths there as well as in Haiti . When HUGO passed over our island at less than that strength, it was flattened! Thankfully there was no loss of life as a direct result of the huricane; people took cover in every way possible, even in kitchen cabinets. DEAN is much bigger and people must pay attention.I pray that all will go as well as possible under the circumstances. I saw on the Weather Channel that Mike Sidel is in Jamaica to report from there. He's one brave reporter! I'll be seeing his reports if he can report safely. He likes to be outdoors in the thick of things. May God have mercy on us all. There is still more to come..
- Major DEAN is on his way! Dear Friends in the Caribbean, as you know DEAN is now a major hurricane. And he is enjoying the warm sea to the extent that he has grown to ,--did I read that he was already a 145mph hurricane?? Jamaica, don't take any chances with this one. Protect yourself as best you can. Go to a shelter if you are near the coast or any flood prone areas. There is no need for loss of life. Our condolences go out to the families of those who lost loved ones no thanks to DEAN. We are having strong gusts of wind at the moment but so far the rain has not materialised.We have had two power outages this evening. I sat out on the deck for a while looking at the partly cloudy skies hoping for rain. Our two cisterns are rather low at the moment. A good rainfall would help. Maybe it will come later tonight. Gert is right, on the satelitte Imagery it looks as if we are having a real tough time. Thank God, we're not. We pray for those who have been impacted by DEAN and will be impacted as this hurricane storms the Caribbean. Unfortunately, looks as if there will not be a good rest between Dean & the next. God bless you all! - Hurricane DEAN storm watch! We are under a Tropical Storm Watch and we realise that if that ridge lifts DEAN can move upwards as well. We have been experiencing very breezy weather, a welcome breeze I must say, but we've also had some eye-brow raising gusts. It makes us wonder if DEAN is getting closer to us afterall. The Sahara dust did not keep it back and at its present size and getting bigger it will not be held back. The high pressure ridge is keeping DEAN from climbing and we hope that will last. Friends is the Caribbean, especially those of you who will be impacted, know that we are concerned for you and our prayers are with you. - DEAN - Where and When? DEAN is not on my Hurricane Tracking Map as yet which starts at Lat.46, yet when we look at it on the screen it looks as if it is almost on top of us. Everyone up and down the island chain and beyond is studying DEAN's moves very carefully. We are all hoping he would go somewhere else. Just don't wish anything for others that we ourselves do not want. We can all hope that he vanishes into the Sahara dust and disappears. Wouldn't that be great? But, it's not happening. Where is he going and when is he making landfall...that is the suspense we shall live with these next days. So, let's hang in there. Get, and do what we should do. We should know the routine by now. Just let's not be caught unprepared. Gas prices dropped at the pump so that was a treat. It was at $2.65 a gal. (not at every Station though) however, ten years ago we paid .99 cents a gal. What a difference! As for conversation,--it's all about DEAN. As to the correspondent from Trinidad, I think you never have to deal with tropical cyclones, lucky you, that's why your government does not take an active interest is informing the public. Fortunately, you are involved with the Hurricane Network. I appreciate your input. I have many Trini friends in St. Croix. WITH 100 TO 110 KNOTS IN FIVE DAYS. CENTER...AND NOT BECAUSE WE HAVE CHANGED THE FORECAST REASONING. I just checked the sat. imagery and there's this big orange ball way out there in the Atlantic! It almost seems to be pushing the Sahara dust out of its way! (And I thought the dust would help to disintegrate it!!) What is most worrisome is that computer models are now all in agreement that that ball will come rolling our way in just a matter of days. Which way is it going? Too soon to tell, but one computer model has it coming right through the Virgin Islands by Thurs/Friday. Whichever way it goes if it develops into a HUGO-type it's going to be BIG; a little to the north or a little to the south does not make much difference. I cannot believe that people I've talked to these days have no clue about anything. So, what's going to happen is the usual last-minute panic to get informed and be prepared. Sometimes that is too late. Friends, let us keep spreading the word. We don't want to frighten people, just remind them that this is the hurricane season and there are threats out there so that they should not be caught unprepared. Thank you, correspondents, for all the information you've provided on tracks, etc. as well as of your islands. Let's hang in there! God bless you! - Hurricane Fuel is Ready! Today my husband and I went for our swim therapy at our favorite beach and I could not help commenting on how warm the sea was getting. This, of course, is the fuel hurricanes need and they have it. The warmer the sea, the bigger the storms! Right now we are watching the BIG wave that came off the coast of Africa and it looks mean. According to the animated satelite imagery there seems to be a rotation. I read the reports from other correspondents this evening and they all seem to feel that this one bears close watching. If it does develop it could pass very near to the northern Leeward islands. This track would be very similar to JEANNE. We had to go through the full motions of preparedness for that one. Thankfully, it passed by without much ado, at least for St. Croix, but then we are further south, -forty miles from St. Thomas and St. John. Let's pray that this one fizzles somewhere out there before it gets near any land. Maybe the Sahara dust will take care of it. The weather activity has definitely picked up around here! RAIN and more RAIN! Late this afternoon a group of us were praying in the chapel as we do every Tuesday when suddenly there was a flash, as if the Lord had snapped a photo of us, and that was followed by a mighty THUNDER! We expect much more of this activity during the rest of the season with all the waves coming from the east. This is a great time for planting trees. We don't have to worry about watering, Mother Nature will take care of that. Just remember that in case of a hurricane, when the young trees and bushes are down, they have to be propped up immediately after the storm passes. I had that chore after Hurricane Lenny smashed everything. I look at the huge Flamboyant tree today and remember how young and tender it was when Lenny took it down. I did not have help, so I had to try with all my strength to straighten the tree up again. It was not easy as I waited several hours before I got to it. I managed and it rewards us today with beautiful flaming red blossoms and nice shade, plus strong branches for a grandchild to climb and sit upon. Enjoy the rain! Watch out for lightning! - Rain on the way? 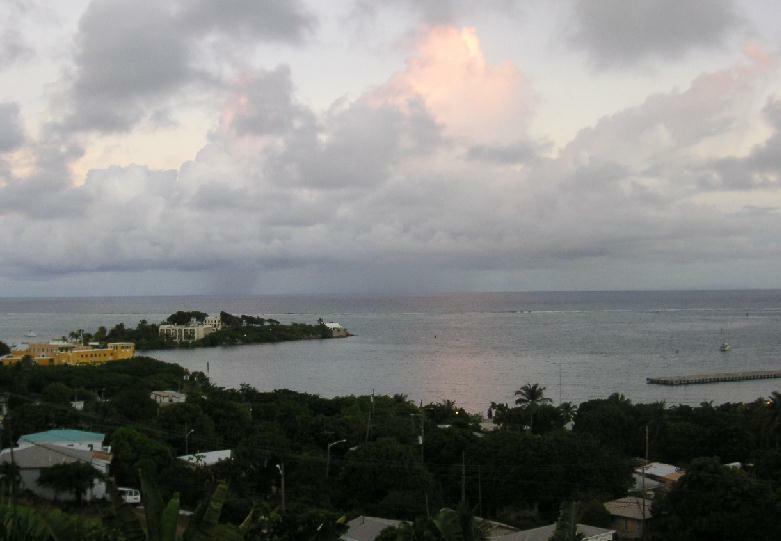 Looks like we may be getting some rain today here on St. Croix, according to the hazardous weather outlook. LOCAL ISLANDS TODAY AND THEN AWAY FROM THE LOCAL REGION TONIGHT. FLOODING. NO OTHER HAZARDOUS WEATHER IS EXPECTED. SPOTTER ACTIVATION IS NOT EXPECTED TODAY. Congratulations to Jamaica on your 45th year of Independence! Mermaid, I like cats, we have three and I thought that was a real cute letter from your cat(s). Make sure they don't get hold of that c-card! On a more serious note. Today VIWMA (Virgin Islands Waste Management Authority) asked all residents to start cleaning up yards of debris. The elderly have been offered the man power to help remove items they cannot handle. August and September are notorious for storms in this region and we cannot, should not wait for the last moment to start cleaning yards. Many people have the "tradition" of piling up junk, that is not only unhealthy since it attracts rodents and keep the perfect puddles for breeding mosquitos, but the debris can fly during a hurricane and cause damage to other properties and people as well. There is a whole page in the AVIS newspaper of SHAME ON YOU names of violators and their particular violation. The public is asked to report violations of solid waste rules and regulations and littering to the office of Compliance Management and Enforcement. At the moment we are watching the many waves BIG and small rolling off the coast of Africa. It's probably just a matter of WHEN. And really, it does not matter if instead of nine there will ONLY be eight hurricanes. Just one will do enough damage for the entire season! So, just in case the one hurricane lands on our shores, let's be ready for it by complying with the civil authorities and do what we have to do to protect life and limb (property). God help us! Thanks for the advice of how to handle the yellow "spaghetti" on the plants and trees. I think it's winning the battle, though. Our poor cashew plant is not looking too happy. It has a strangled look about it. And I was looking forward so to having cashews! Well, at least we have five bunches of bananas at the moment and there is an abundance of juicy, yellow plums, sweet and sour saps, and sugar apples--these are still small. Of course, we lose it all in a storm, but rather plants than houses, right? The plants have a way of bouncing back quickly. Some of HUGO's destroyed structure are still visible here. The owners simply gave up. Until the next report. Be well, be happy, and be ready! It was definitely NOT a wig-day today! Not a great hair-day either. WIND galore! Well, I guess that's it for a while. We can breathe easy for a week or two. It seems that the HUGE wave coming off the coast of Africa is too high and should not pose a threat, BUT..isn't there a chance that it can be pushed downward by other forces..? Suspense! I was out in the garden late this afternoon when I noticed the sky to the east getting quite dark and threatening. What a relief if it actually rained! It had been extra hot today. I was trying to rid the plants of the pesky yellow "spaghetti" which bunches and hangs from the plants and trees until it kills it (...anyone out there has a solution to this problem other than cutting down all the plants..?} I was working on a slope with rubber slippers just back from the beach...not a very good idea. I managed to get out of that dilema before the sky broke and then it was total whiteout. What a heavy rain! Hadn't seen that in a while. Not bad for a 30% chance of rain. Makes me wonder what 100% chance would do! So glad Dave wrote us another letter. Thanks Dave and Gert for your information. We certainly have to keep a watch on what could become Chantal in a few days. Let's not wait too much longer to get all the hurricane supplies, especially those of us who could be directly affected. All the best to everyone. Be safe. It's hard to believe, but here we are, another hurricane season! But, are we ready? Around St. Croix I see various jobs being done that can be considered hurricane preparedness. Gutters are being cleaned out of debris, tree branches being pruned away from electrical poles and lines, etc.. but individually, we all kind of need the first threat to actually start doing some things. We have been complaining of the early hot weather. We have had days of very hot, still days. No breeze, and hardly a drop of rain. Today we are thankful for the lovely breeze. The month of May was very dry, said to be the driest in a long time. We are looking forward to those waves which usually dump enough rain to keep our cisterns full. At the moment we have one empty cistern and the other is half way down. We are five people showering every day, doing laundry often, dishwashing machine, and so it goes. We try to conserve where we can. I pray that we will all be safe during this season; even if we are hit! Hugo devastated St. Croix in 1989 but no deaths were recorded as a direct result of the hurricane. We must learn how to protect ourselves even if the roof blows away. Hopefully we won't have to deal with anything as Hugo.. As for power outages, Kahrahmel, we have been having them all too frequently in St. Croix. I don't know what's going on. Sadly, a 20-yr-old lineman was recently electrocuted while he stood in one of those buckets they use. I guess I can say that these outages are keeping us on our toes, preparing us perhaps for what is to come..Are we ready? We had better be ready! God bless you all! Judging from the blobs on the satellite, it sure looks like rain is headed our way. I hope so, I'm doing a little rain dance and crossin' my fingers!